December 20, 2017 - Like us now! Smartphones have become an integral part of our lives. The battery powering these devices are of equal importance, especially for those who own a flagship device. Although few mid-rangers like Huawei’s Y7 Prime and Xiaomi’s Redmi Note 4X features a tremendous amount of battery life, yet our concern here is only flagship devices of 2017, which need to optimize their software in order to give long battery life. The new listing by Phone Arena has been revealed which draws a comparison between the top flagships of 2017 in terms of their battery life. The report by one of the most authentic media outlet covering smartphones, Phone Arena concludes that Samsung Galaxy S8 Active variant is the best smartphones of the year 2017 with the longest battery life of 10 hours and 57 minutes. The Galaxy S8 Active varies with the regular Galaxy S8 in many ways as it has 4,000mAh battery, which is 1,000mAh up than the regular version. 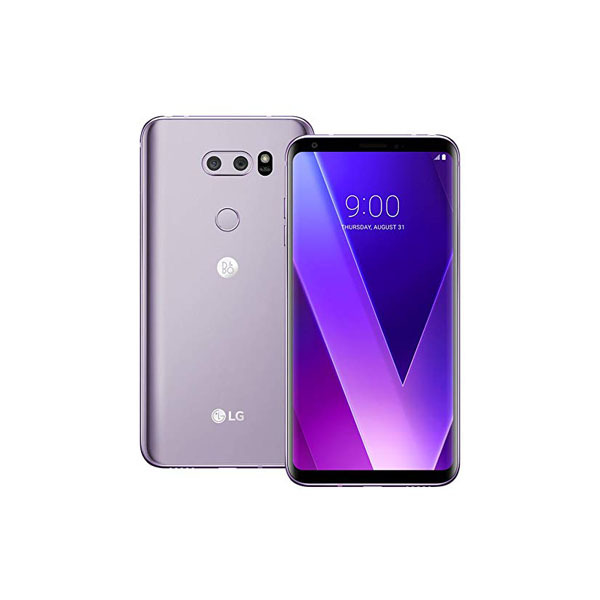 iPhone 8 Plus and LG V30 were considered runner-ups with 10h 35 min and 9h 34 min battery life respectively. The report indicates that average battery life of smartphones in 2017 is 8 hours and 44 minutes. Samsung Galaxy S8 Active and the Apple iPhone 8 Plus, are the only two flagships with a score of more than 10 hours. 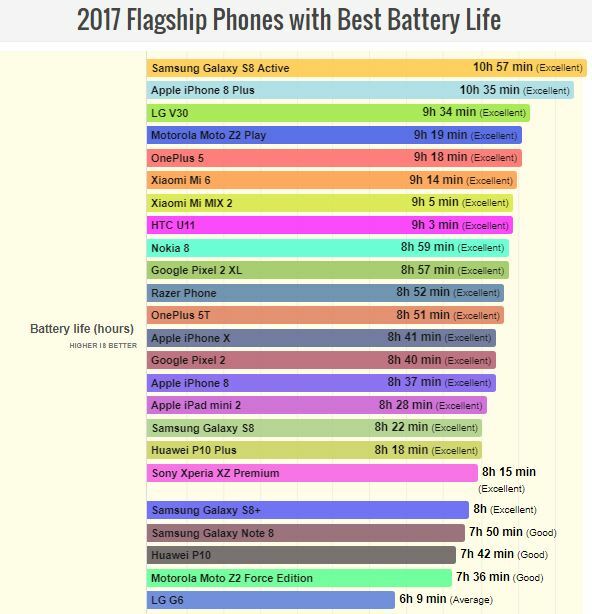 The other flagships that have been considered at an excellent point in terms of battery life include OnePlus 5, Xiaomi Mi 6 and Moto Z2 Play, which could also be considered in the top 6. However, the list contains the each and every flagship smartphone of 2017 that matters. The list has been shared below.